Hemerocallis lilioasphodelus belongs to genus Hemerocallis and is a sibling to the orange daylily Hemerocallis fulva. It is commonly found in China, NE Italy, Slovenia and Europe. This is usually the first daylily to bloom for us in our garden in early spring, while more blooms from the same plant will again exist in autumn. The yellow flowers of this plant are funnel shaped, lemon yellow in colour and have a strong citrus scent. It can be used as border plants or can be massed planted in larger areas. Why not try growing Hemerocallis lilioasphodelus in large deep planter boxes. Some folks even use them as a cut flowers. They are highly adaptable and are easy to grow and multiply once the daylily plant has settled in and established. One new division will multiply for you in no time. These plants perform well in my garden and are normally pest free. When you see the Hemerocallis lilioaspodelus grown in mass plantings, the flowers are usually seen flowering at different stages of development, while some of the yellow/lemon flowers are in full bloom, at the same time others are spent and finished. this article will tell about his fascination with daylilies as a boy and how the original daylily specialist did specialise in the very first daylilies and how he went about growing and breeding his daylilies. Dr. A.B. Stout also wrote a book and was published long ago in 1934. They are herbaceous and evergreen perennials meaning the foliage stays green all year round. The plant grows in clumps and it spreads the long roots away from the crown and grows to a height of 2 feet. Flowers appear on tall stems which grow above the green grassy foliage. The scapes usually bear 3-9 flowers. The flower width is about 4” and the individual flowers last for 1-2 days. The daylily root system is fibrous with some spindle like swellings on the ends. The plants need at least 2 years to reach the full height after planting. Even though Hemerocallis lilioaspodelus only have 9 buds per stem they can still administer a blooming time that keeps the blooms opening for at least one month each time. Yellow daylilies can be cultivated in normal, sandy, loamy or clay with acidic or neutral or basic pH. They can grow well in the strongest morning sun and partly shaded areas in the afternoon. Daylily flowering will be reduced in the future, when placed too much shady positions. They can survive in average, moist or dry soil conditions. The plant is highly tolerant to cold conditions, humidity and hot summer heat but loves to grow in raised garden beds. The garden beds need to be overturned intensely before hand, so that the daylily roots can grow deep into the ground, so nature in turn can produce new daylily additions to the daylily clump. Its ok to let them dry out for a day or 2 watch out for spider mites as they love a cool dry place in the crevices of the daylily leaves, nothing that a good hard squirt of water will fix. It is necessary to perform deadheading to extend the flowering. When the stem finishes flowering, it can be cut off a few inches above the daylily crown that is near ground level. Once the old flowering stem is dry and brown this is when you can pull off the flowering stem from the crown. Once the flowering of the plant is completely stopped, all the dead leaves can be removed. If the foliage is damaged, it is ok to cut the outer leaves down to 6 inches to tidy the plant up meanwhile in a few weeks fresh new leaves will appear replacing of the old outlying leaves . The plant needs dividing in every three years to improve flowering. You can apply 2-3 inches of mulch to keep the daylily roots cool. When you layout the mulch keep it away from the stem of the plant, anything higher than than one inch from the crown may suppress flowering. Adding in a shovel full of compost or manures all helps to improve growth and flowering. Watering is necessary from spring till the buds are produced, water daylilies extremely well, water deeply to get the best blooms. If water is restricted it is fine to use waste water from the bathroom shower and bath to water Hemerocallis lilioasphodelus. The easy method of propagation is by division of the clump during autumn or during the early spring. Propagation by seed is usually done in the mid spring. Germination should be done in a greenhouse and should be kept in a greenhouse for the first winter. You can plant them out in late spring to see what you have bred soon after. If you haven’t got the luck or the green fingers try growing Hemerocallis lilioaspodelus it is one of the easiest plants you could ever grow and care for. It could be the one plant for you! Hi, do you sell these original varieties? Apparently they are the best type for eating. 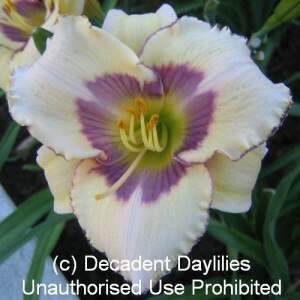 Hi Carolyn, from time to time I have Hemerocallis lilioasphodelus for sale, it is best to keep tabs on my daylilies for sale page https://www.decadentdaylilies.com/daylilies-for-sale.html Christine.